The Bible is full of promises that, like a seed, if we will sow or plant the promise given—we will reap the provision that is “locked up” within that promise. In other words, God’s promises left unclaimed and unused are no good for us! Any seed left in a packet or bag is no good to anyone. Just like the seed must be planted in order for us to reap…the promise of God must be planted within our heart by faith and trusted to bring forth the life it carries. When something doesn’t deliver, disappointment abound. God’s Word has the ability to bring itself to pass and it will always deliver! 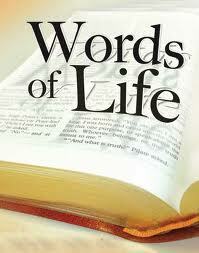 The issue we run into is: many, if not most, don’t know how to properly “plant” the word so that it produces! Once again, consider that seed…if it is not planted into good, quality soil and nurtured properly, it will not produce properly. Quality soil is soil that is prepared to receive seed. How prepared are you to receive the promise of God’s word? Far too often we want to say there was a problem with the seed but could the problem be that we were not prepared to receive the seed of promise. The scripture tells us that it was “Through faith also Sara herself received strength to conceive seed”—Hebrews 11:11. Afterward, we must take the promise of the word, deposit it into the soil of our hearts through daily reading and confession or affirmation. Doing this, causes that word of promise to be planted within us. After it is planted, we should nurture it with praise to God for whatever is promised coming forth! Faith does not wait until the manifestation of the promise to praise God—it praises in advance! Reblogged this on My Daily Bread. Thanks for the re-blog…I appreciate it! Blessings! Indeed, brother indeed all our provisions are in the word of God. I am about to write a post with some humor saying, we must learn to live on our knees and pray before God teach us how to. Prayer according to God’s word is powerful. I can a test to that. Prayer; however, is a product of spending time in God’s word, then the provisions will be the result of time vested in God. I appreciate your comment on this post. Indeed, prayer is the way we communicate with God and it is a major part of our fellowship with Him. Also, the importance of the Word in prayer cannot be overstated. Thanks again and Blessings to you! Thank you Lori! Blessings to you!